You know that thing when you’re like $7 or $8 shy of qualifying for free shipping on Amazon? And you frantically wrack your brain for a small item that you actually want/need just to push the total into the free shipping eligibility zone? (Please tell me I’m not the only one who does this.) Well, that’s how I ended up with this Cuppow. I’ve wanted one for a while but somehow never picked one up. As I was clicking around Amazon this was suggested for me – thank you Amazon gods (read: genius marketing people)! 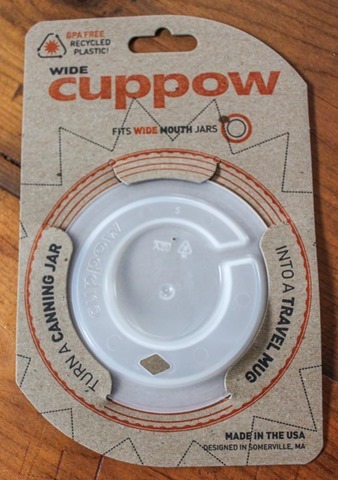 Another bonus – this is the Cuppow Wide Mouth Drinking Lid (not to be confused with the regular sized one) which is great for me because I prefer the wide mouth jars. 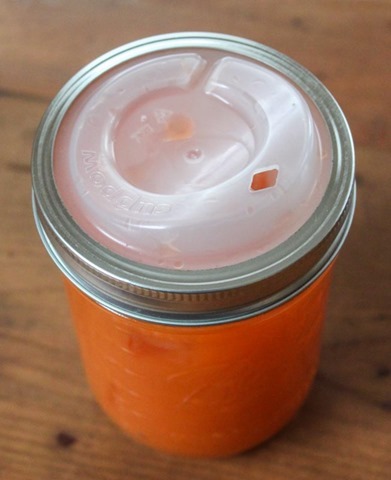 Installation is a breeze – jut unscrew the lid, remove the metal plate, place the Cuppow directly on top of the jar, and screw the metal ring in place to secure it. 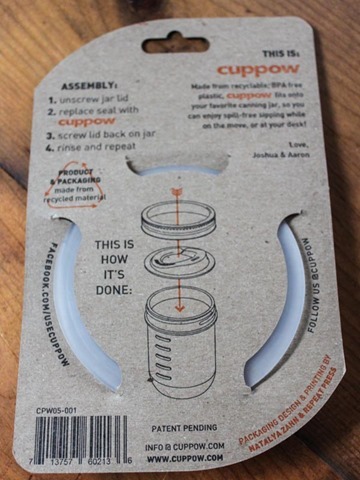 The Cuppow is a great way to create a travel mug in a pinch or just to make your at-home beverage situation a little more festive. 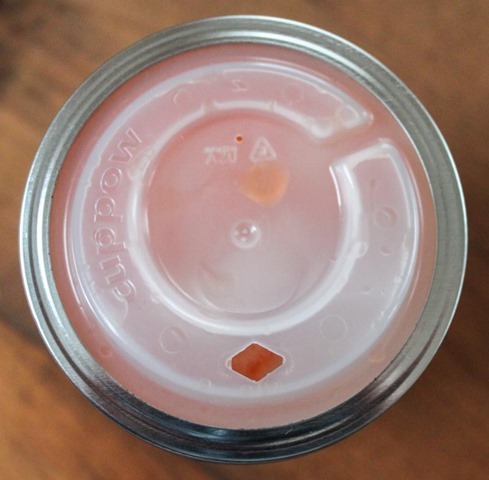 The Cuppow isn’t spill-proof but it’s pretty darn close. The drinking hole is a good size but is small enough to prevent a lot of splashback. 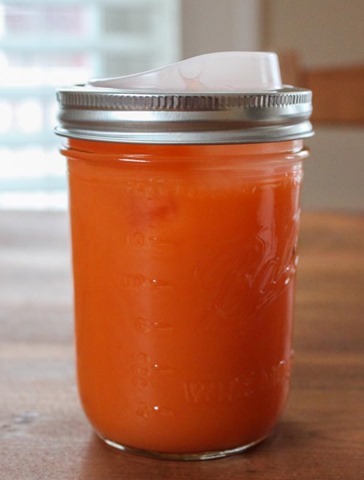 It also fits a regular sized or stainless steel straw. I’m so happy to finally have a Cuppow. And the best thing of all, they were invented right here in my city – Somerville, Mass!